Although it is often called a “Lenten rose”, “Christmas rose”, or “winter rose”, the Helleborus genus of plants are not actually roses (they belong to the buttercup family Ranunculacaea). Hellebores are actually evergreen perennial plants that will bring beauty to your garden during the winter and their early-spring flowering period (they often bloom around Lent, hence their more common name of the Lenten rose). These plants are surprisingly frost-resistant and tolerant of shade. The leaves of hellebores produce poisonous alkaloids, which means that these plants are distasteful to animals, including rabbits and deer. 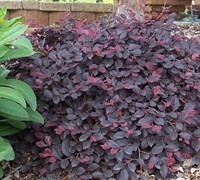 The leaves are toothed and leathery and make a distinctive year-round contribution to the garden even when the plant is not in bloom (they can work wonders as a groundcover). These plants are best grown in groups in a woodland/shady border, and are an excellent choice for providing off-season color in your garden. Hellebores are amenable to hybridizing, and so there are many hybrid varieties. Togogarden is pleased to offer several varieties from the Helleborus Gold Collection. This collection of hellebores are long-blooming varietes with lots of buds and blossoms (they can bloom for two to four months of continuous color). They produce large, forward-facing flowers and can be enjoyed indoors as winter and holiday decorations and then later planted outside as long-lived perennials (hardy to zone 4 or 5). 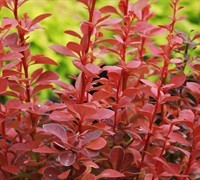 They also do very well in patio tubs or planters, providing ideal winter color for containers and entry areas. The bottom line is that these plants are no-fuss, reliable additions to modern gardens! Landscape – Plant a mass of creamy ‘Champion’ hellebores at the base of a Coral Bark Japanese Maple tree to provide striking winter color. 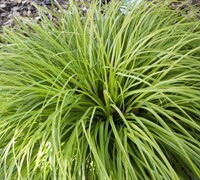 Add some Evergold Japanese Sedge to form waterfalls of yellow-green foliage from spring to fall, contrasting nicely with the darker green foliage of the hellebores. Container Garden – Plant some pink ‘Merlin’ hellebores along with some Heuchera Georgia Peach to reinforce the pink tones and perhaps an a silver fern (such as Japanese Painted Fern) to add contrast. 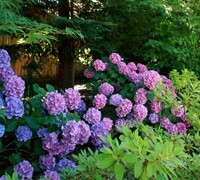 Optimal Planting Time: Late summer and early fall, when the plants are still flowerless. Hellebores do best when planted in groups of three to five plants together. Before planting, immerse the root ball in water to provide sufficient moisture. By planting different varieties with overlapping bloom times, you can have color from November to April. Care: Low-level of care required. Tolerates a wide range of soils (as long as drainage is good) and exposures. Shelter from strong winter winds. Hellebores appreciate a yearly application of fertilizer in late winter/early spring. It is recommended to cut off all the old leaves when flower stems are 3-4” tall to enhance flower display and reduce the spread of disease. After flowers have died back, the flower stems can be removed as well. Soil: Preferred soil is moist but well-drained, rich in organic matter. Mulch to maintain summer moisture. 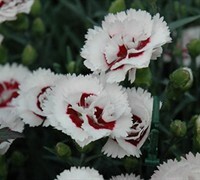 Sun: Prefers part-shade to full-shade (they bloom best with morning sun and afternoon shade, or dappled shade all day). If you have a sunny spot in your garden that you feel would be ideal for a hellebore, try also planting a deciduous shrub that can provide shade for the hellebore. Size: The Gold Collection of hellebores grows 9-18” tall and 9-24” wide (depending on variety). Propagation: Seedlings that appear around the base of the plants may be left if not overcrowded. Otherwise, transplant them into pots or move them in the early spring. 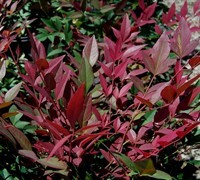 Plants may also be divided in the late summer/early fall when active growth has slowed. 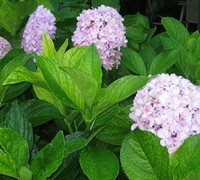 Recently divided plants may take a year to reestablish and may not bloom the following spring. 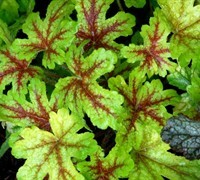 Pests and Disease: These are typically hardy plants, but they may be susceptible to fungal rot. Keep an eye out for aphids. Slugs and snails may attack young growth.